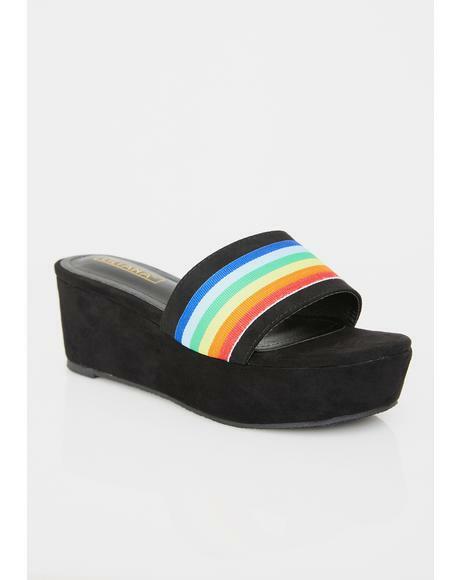 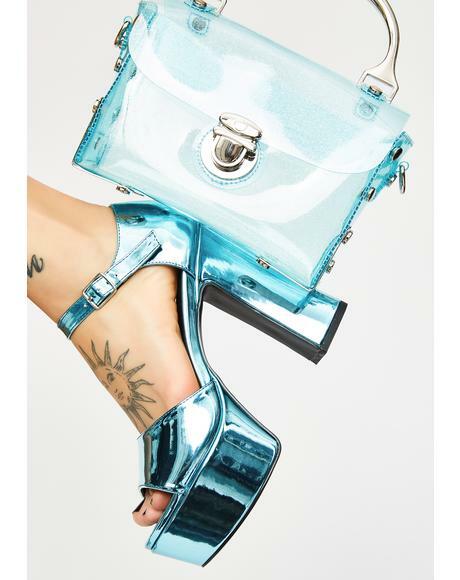 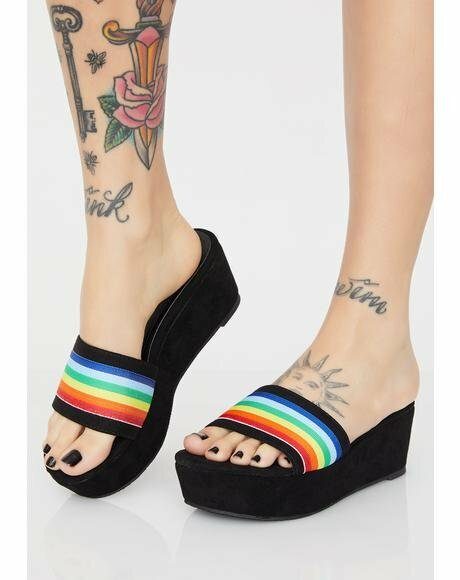 Current Mood Cloud Nine Sandals cuz yer walkin on a cloud, bb! 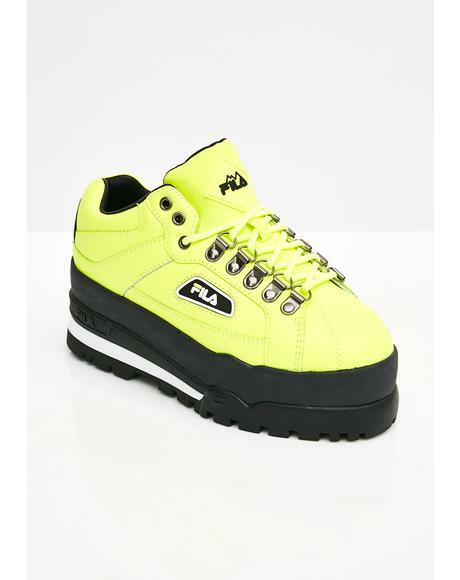 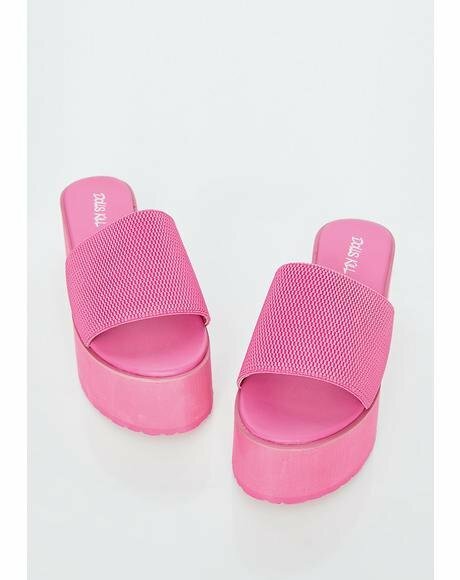 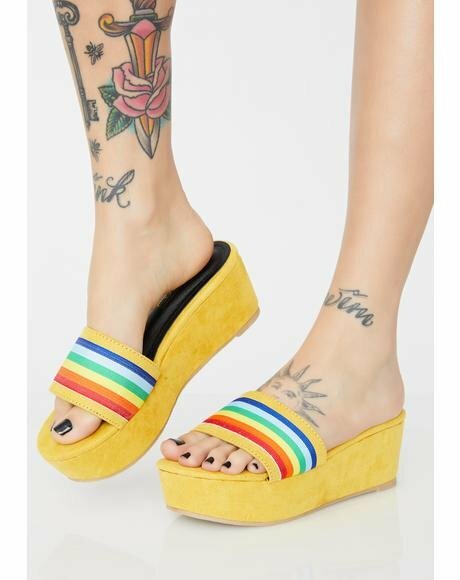 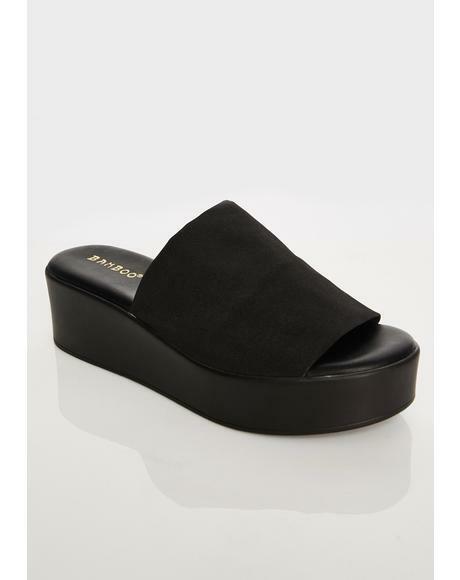 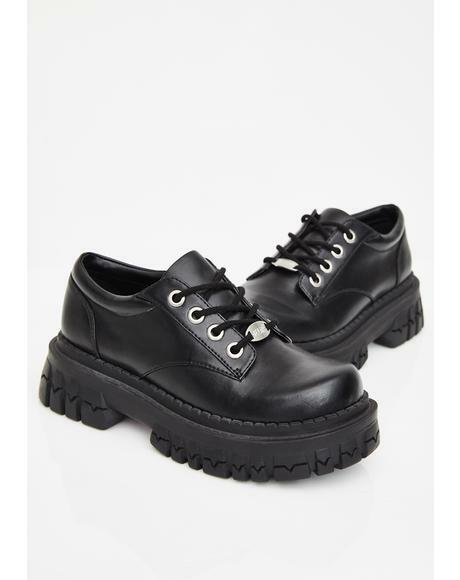 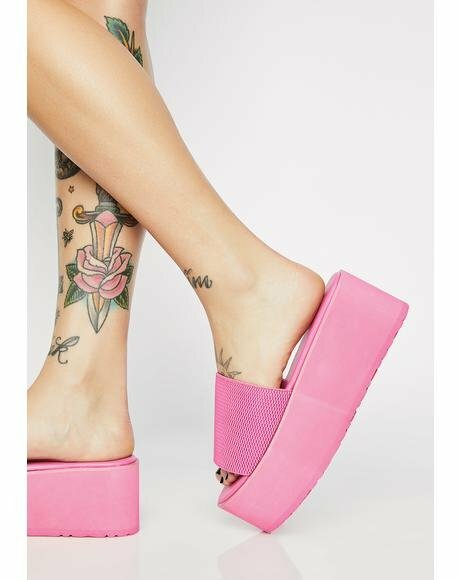 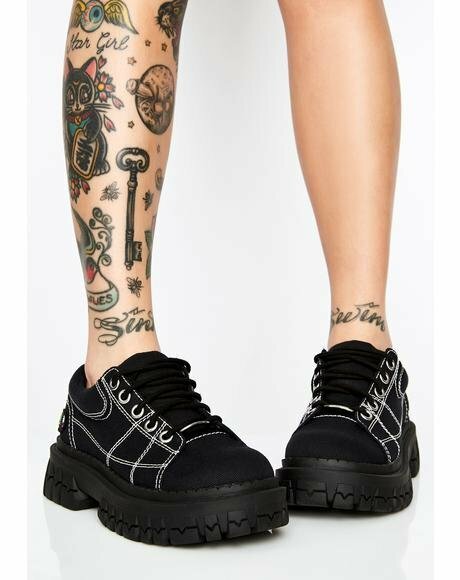 These sikk sandals feature an ankle strap and buckle, giant fluff ball over the toe strap and a 4 heel thatll get yer head in the clouds. 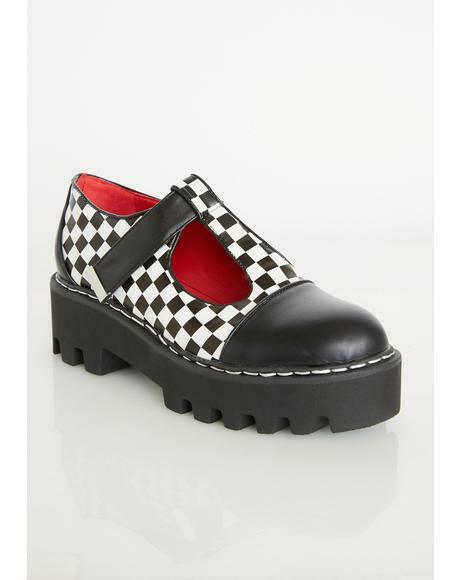 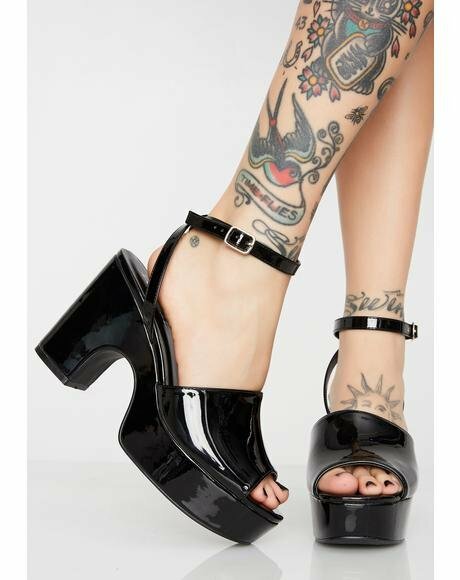 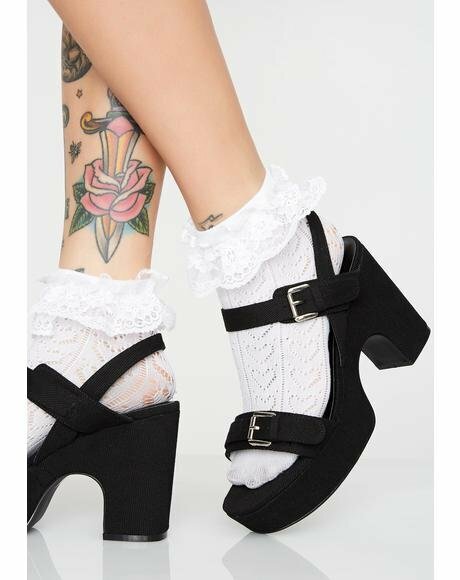 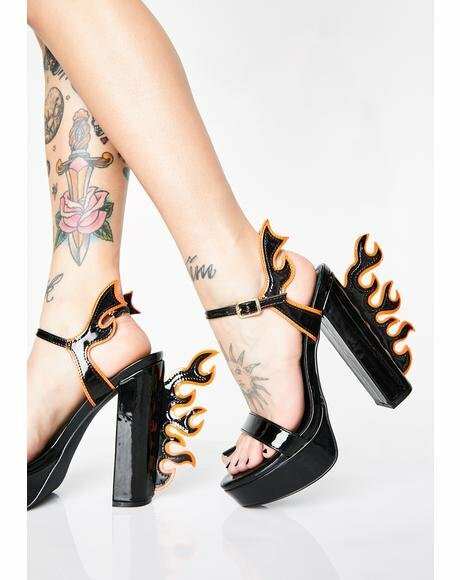 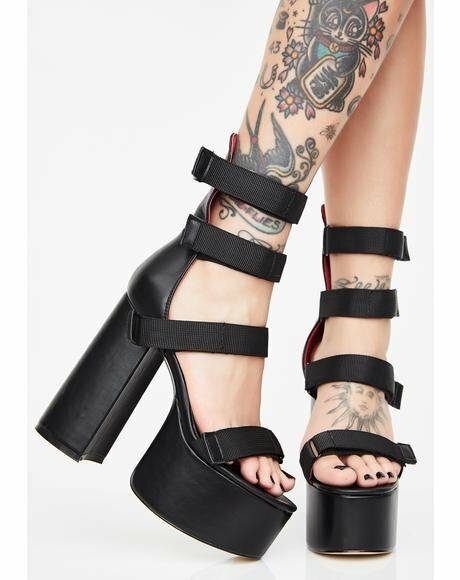 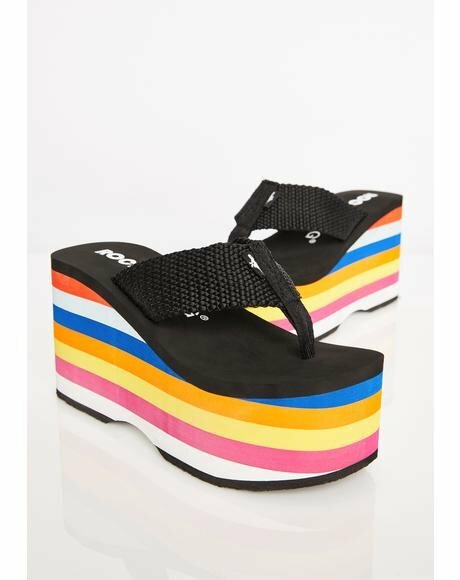 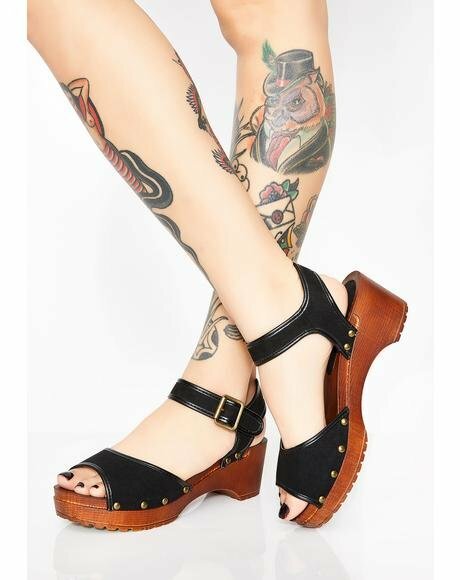 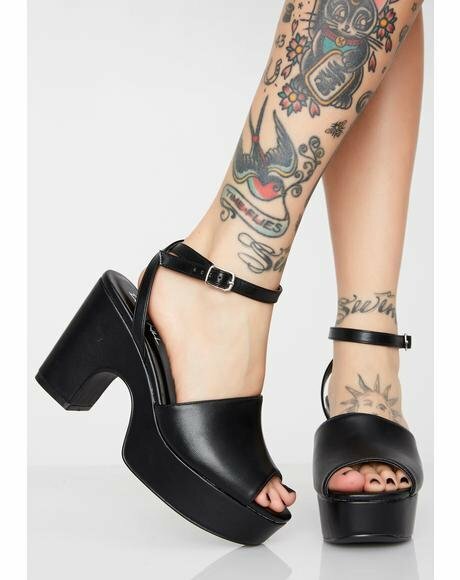 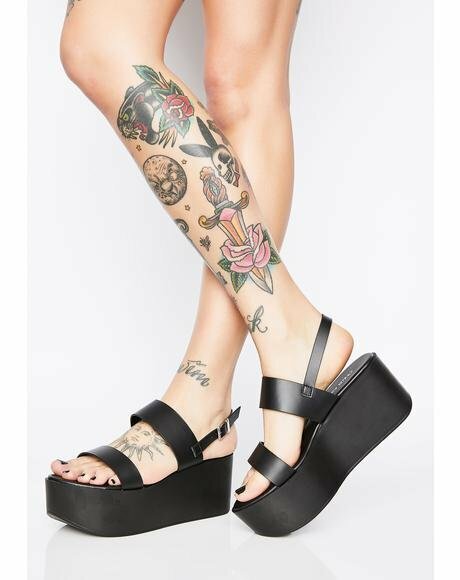 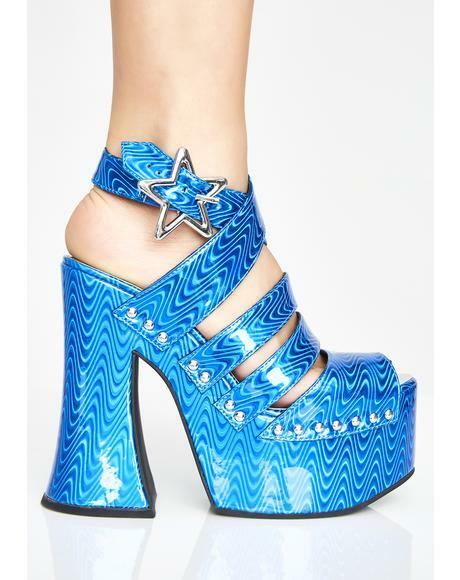 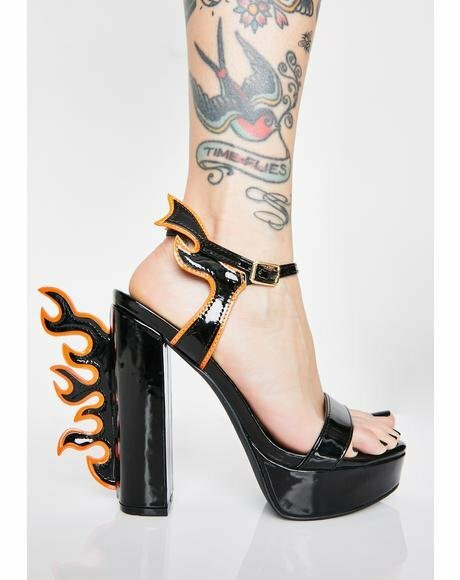 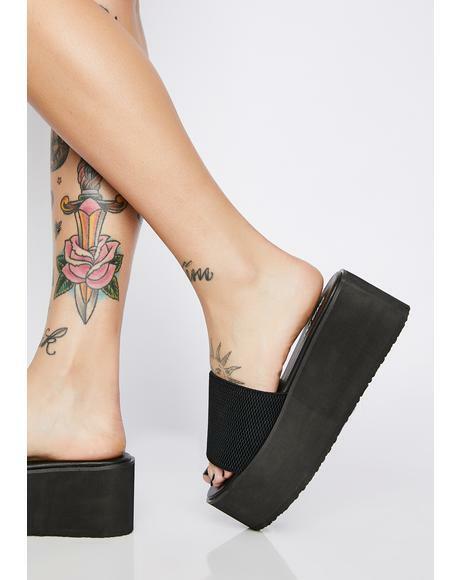 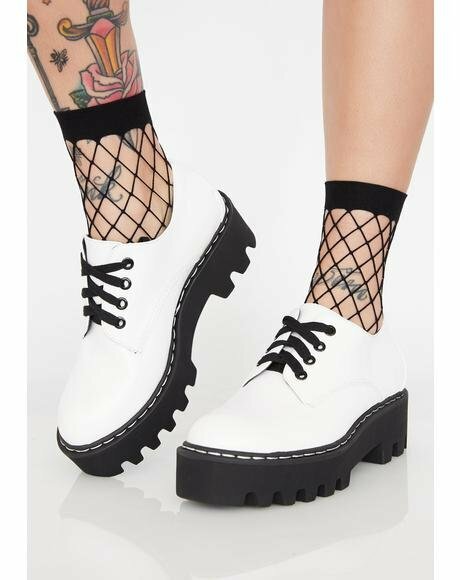 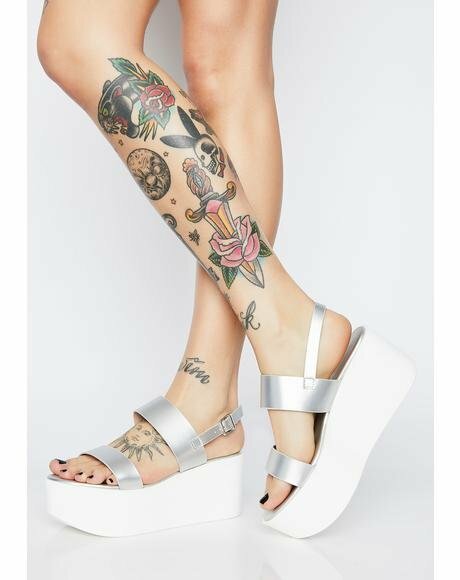 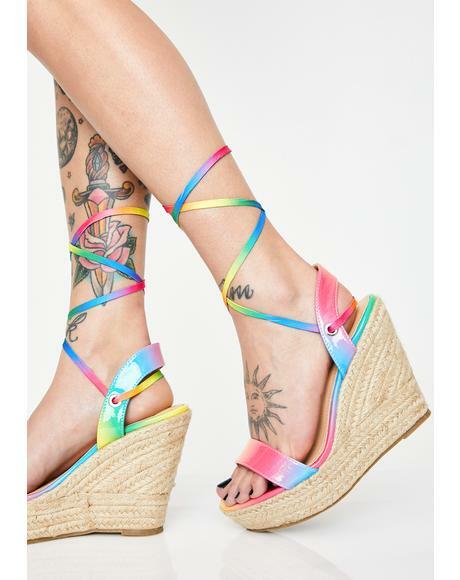 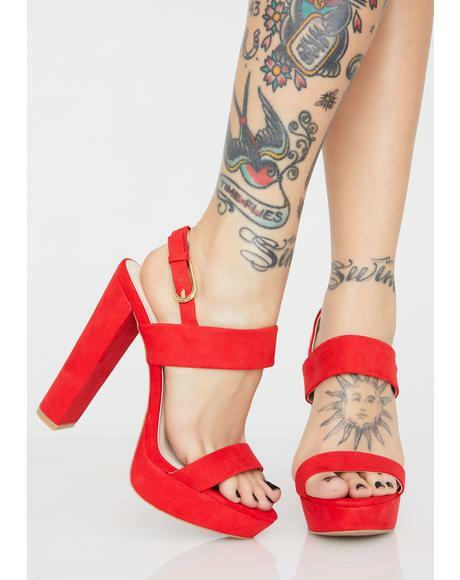 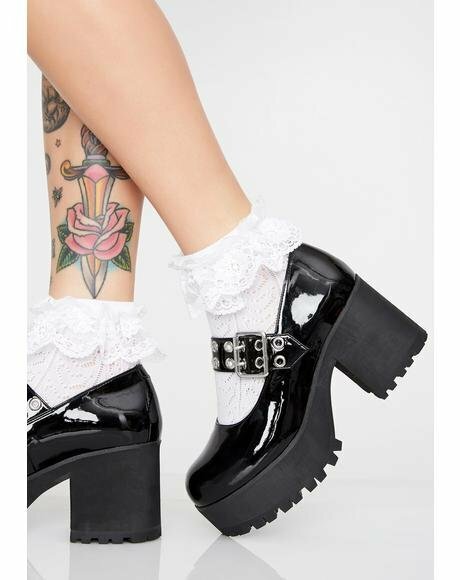 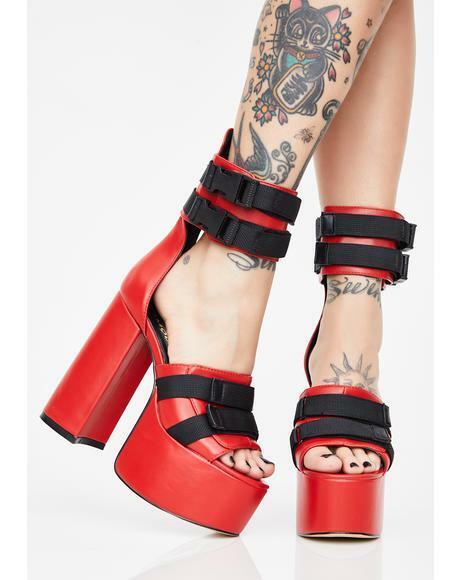 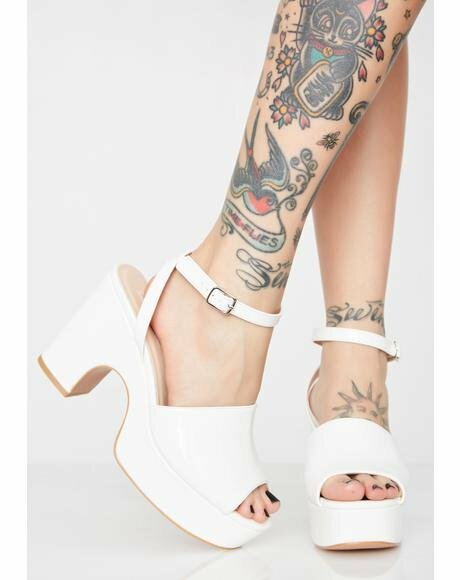 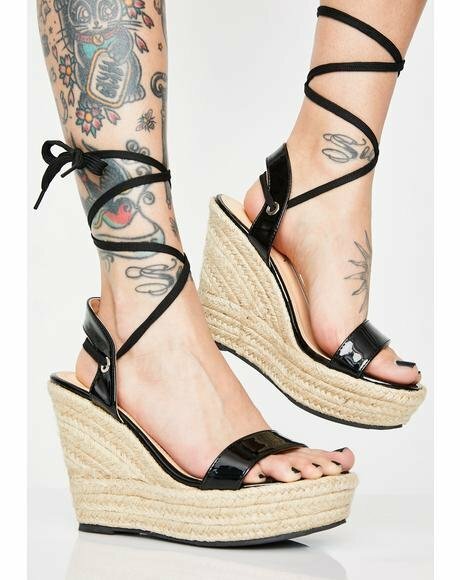 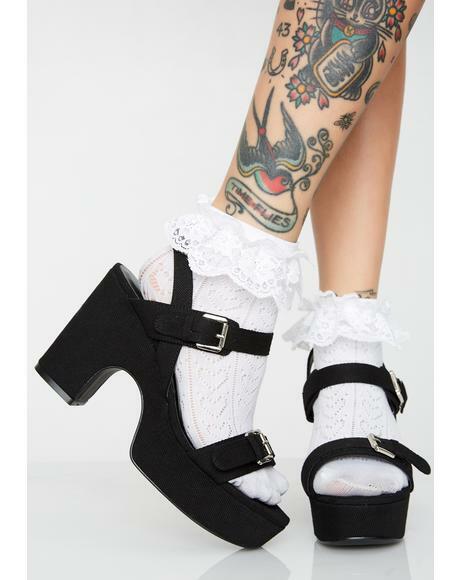 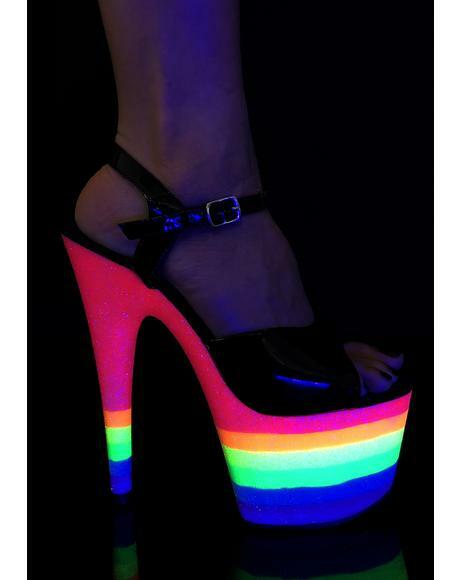 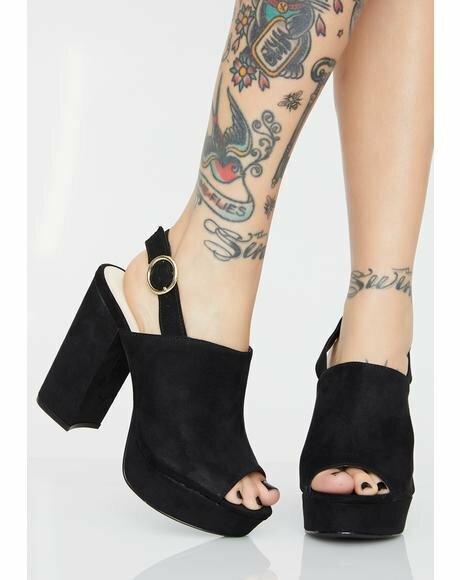 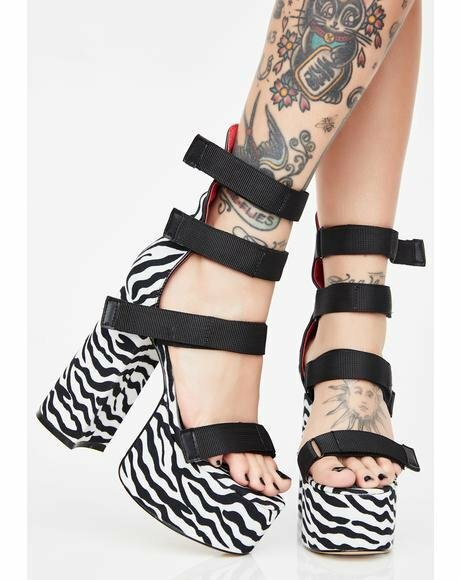 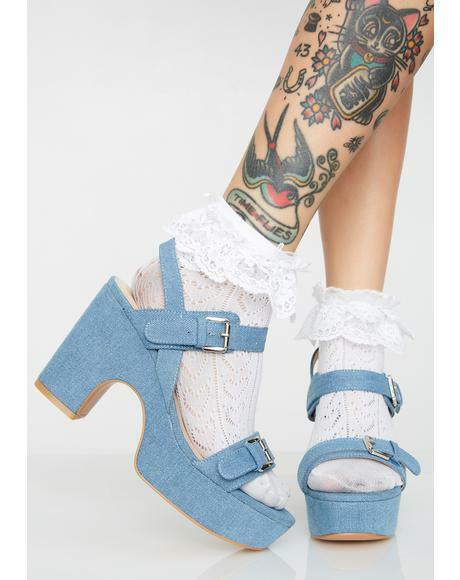 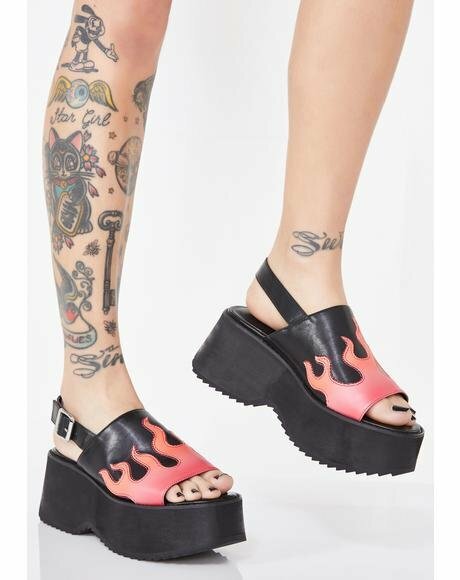 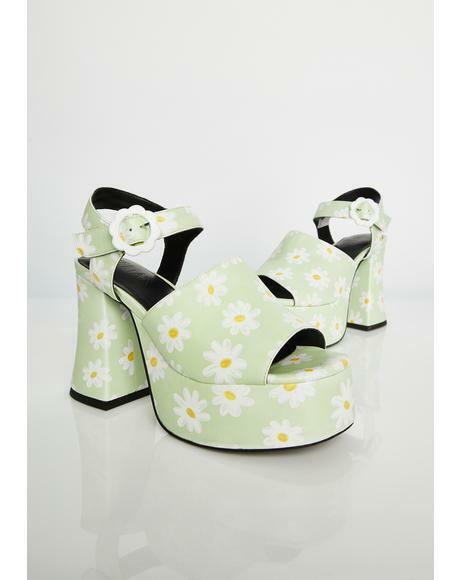 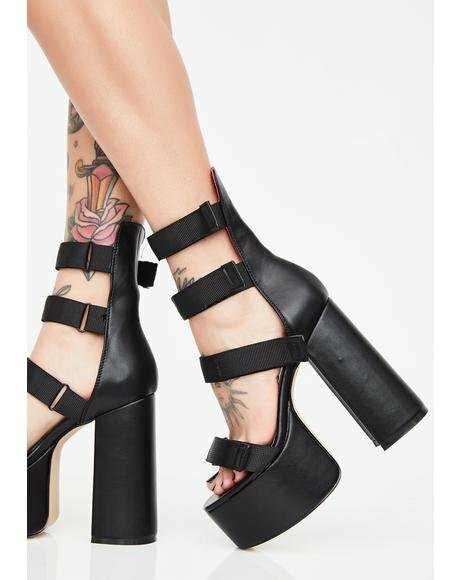 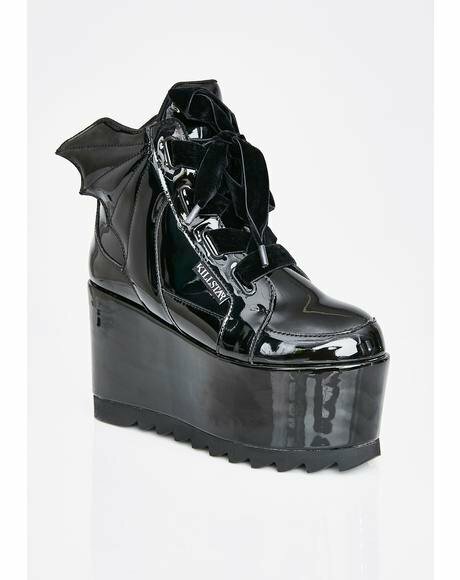 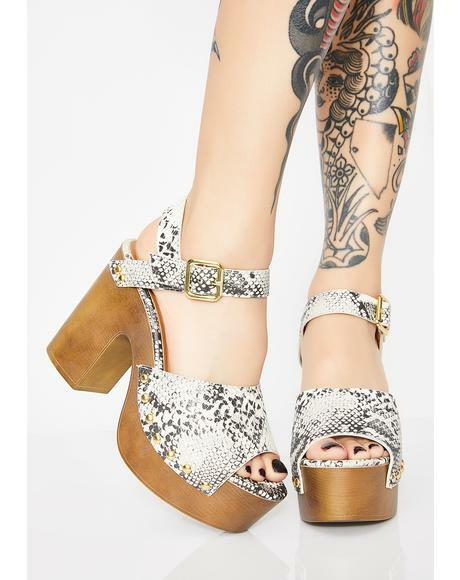 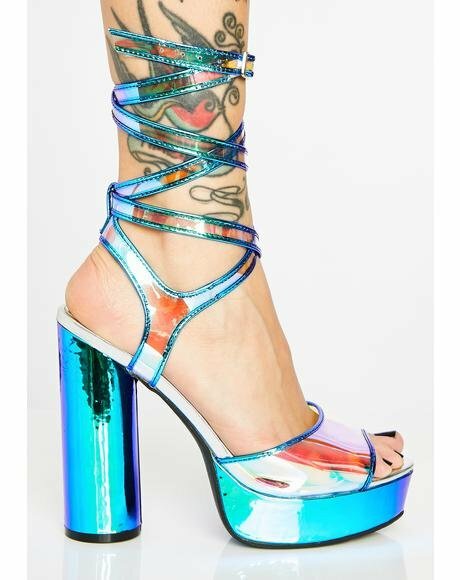 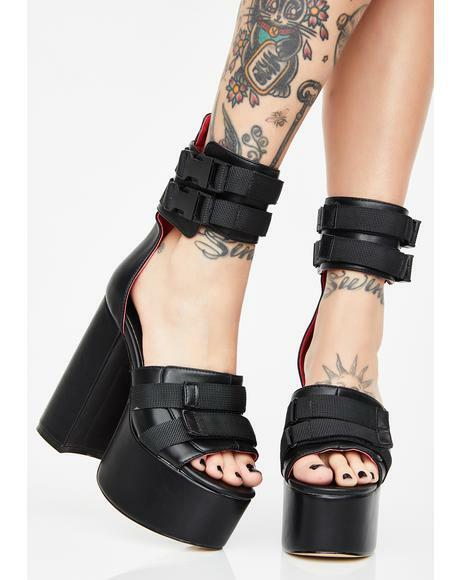 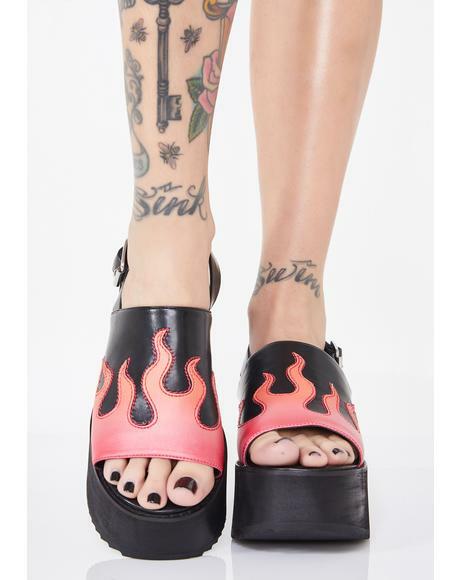 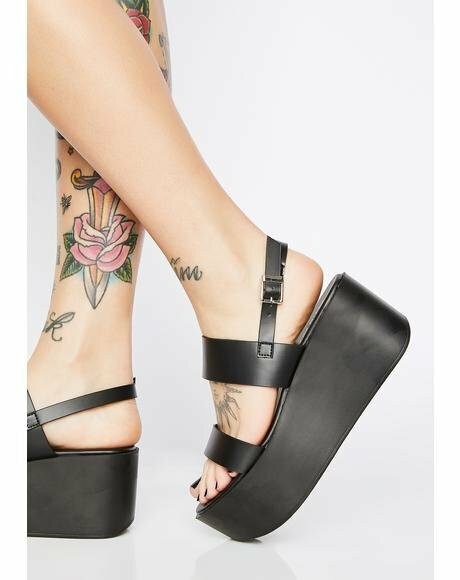 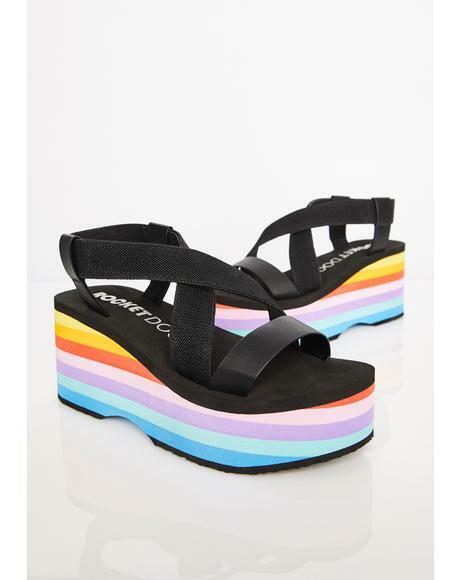 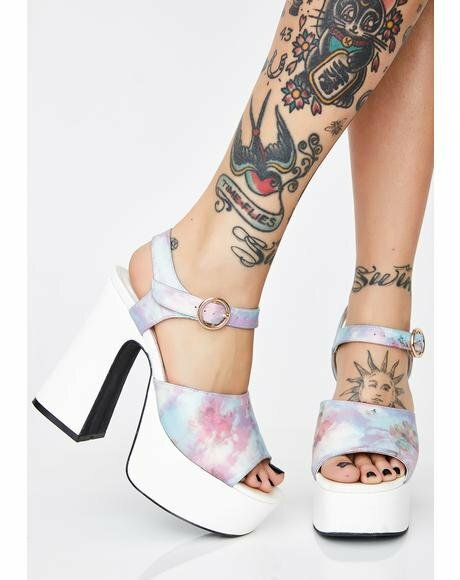 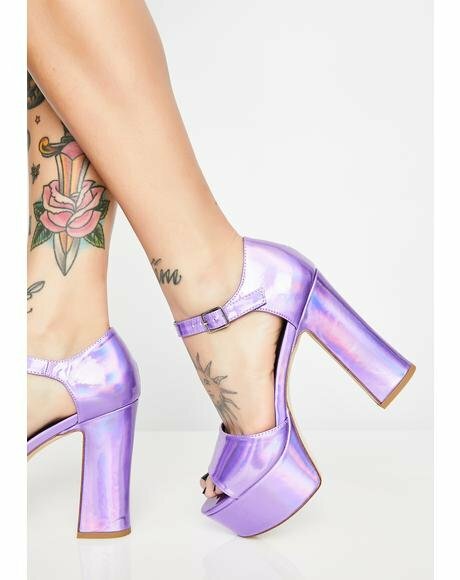 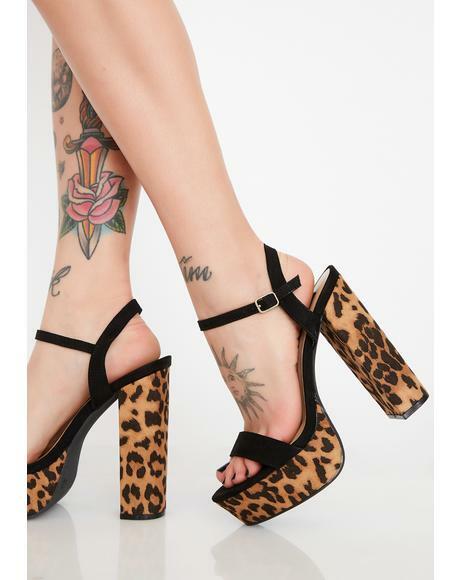 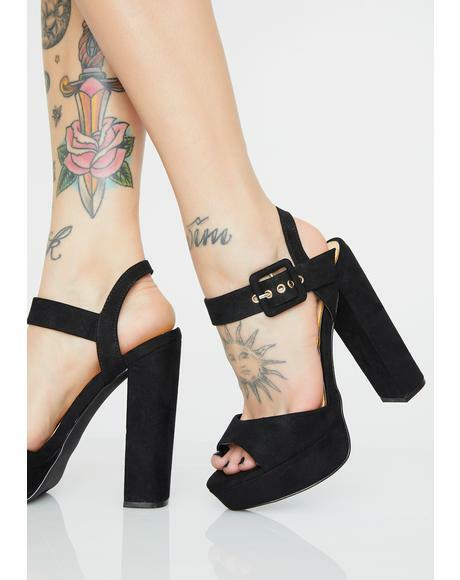 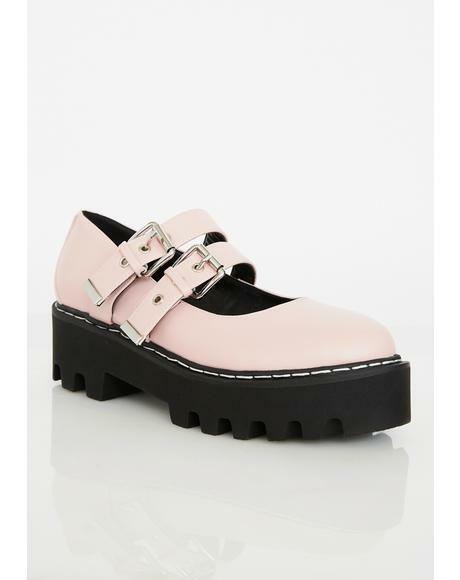 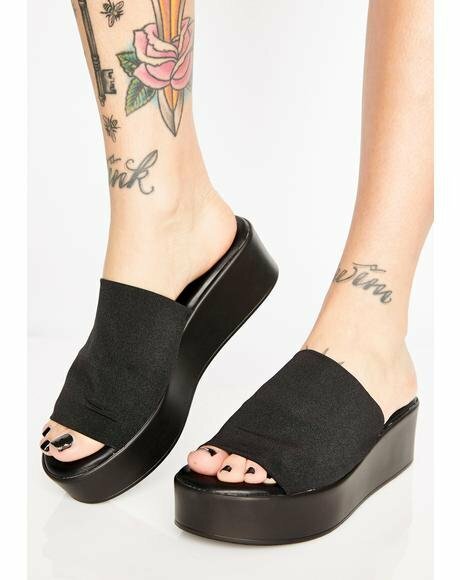 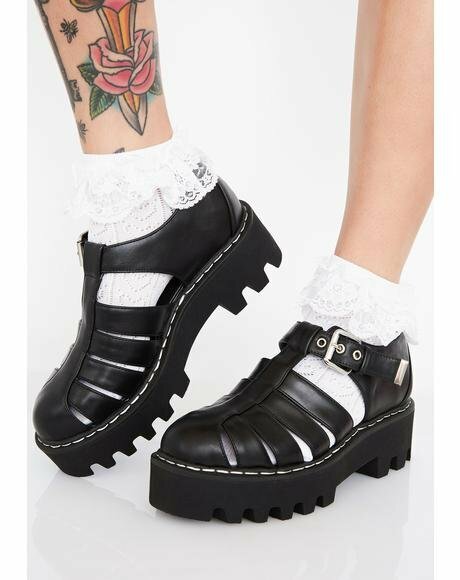 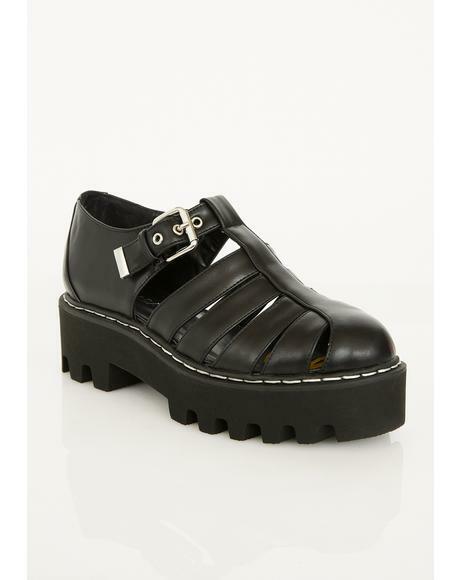 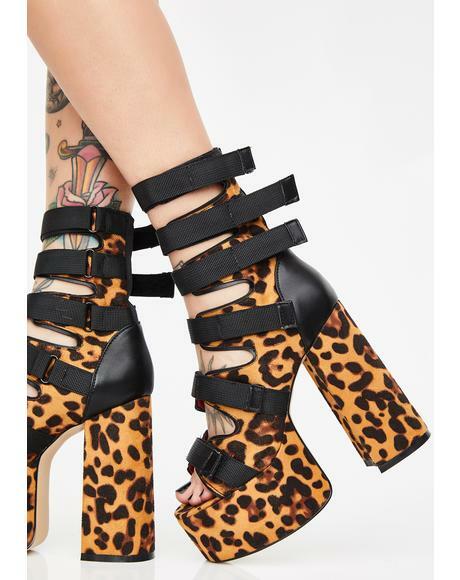 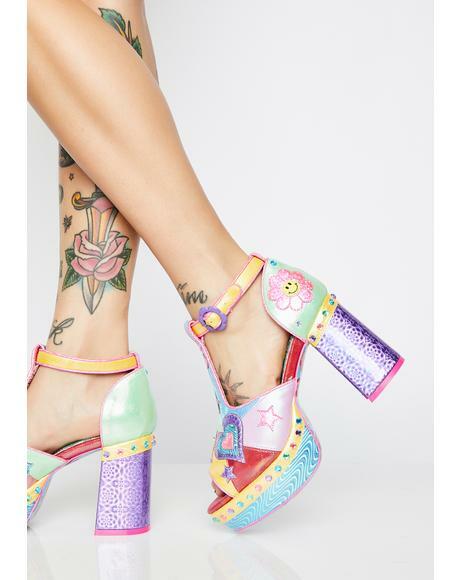 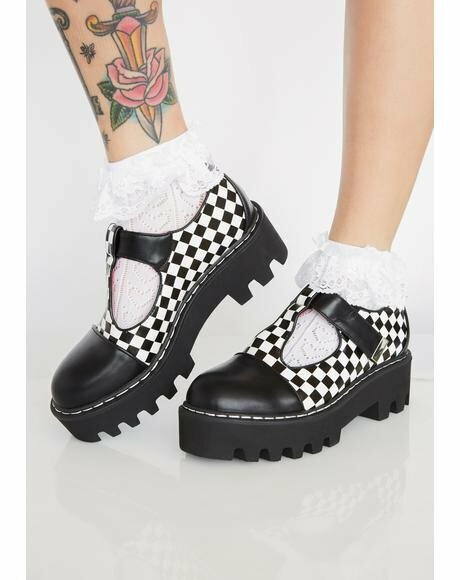 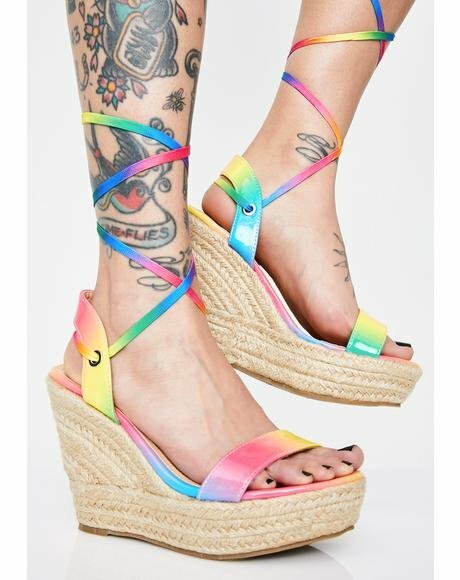 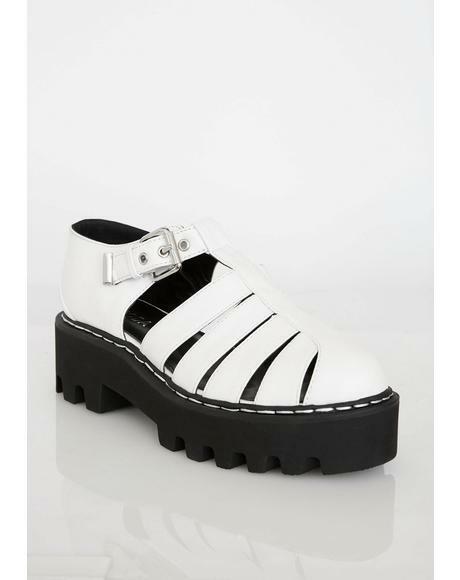 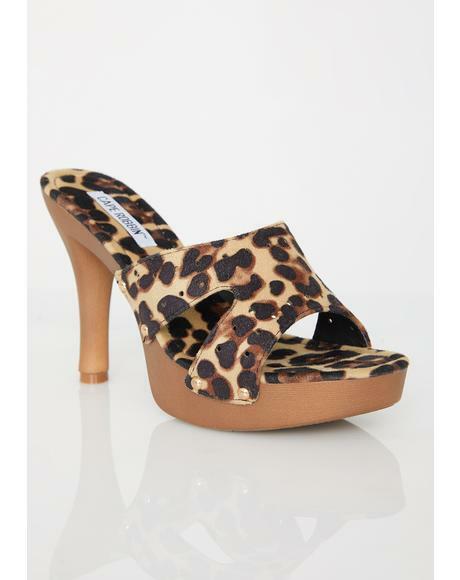 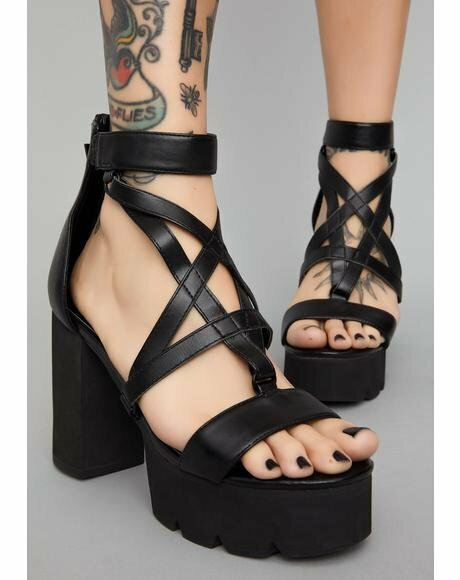 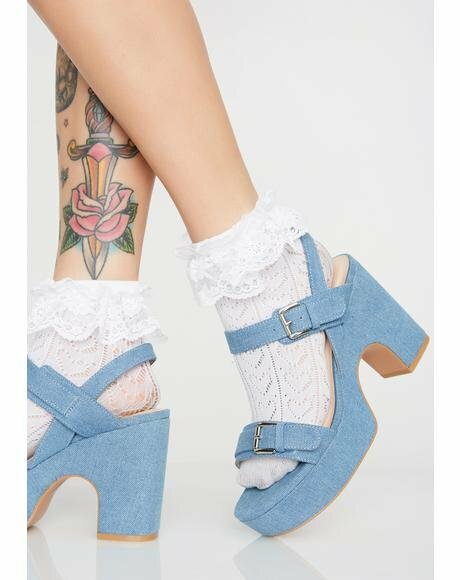 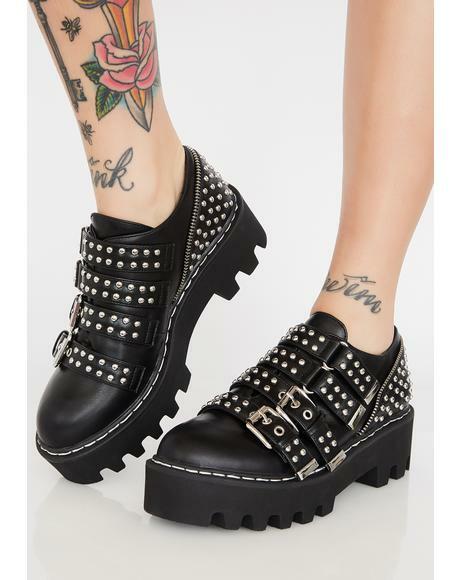 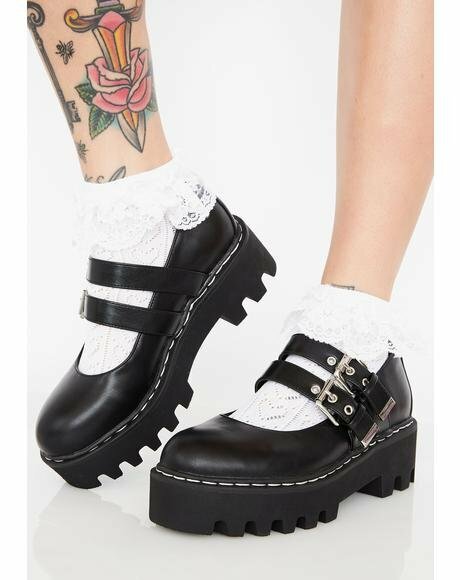 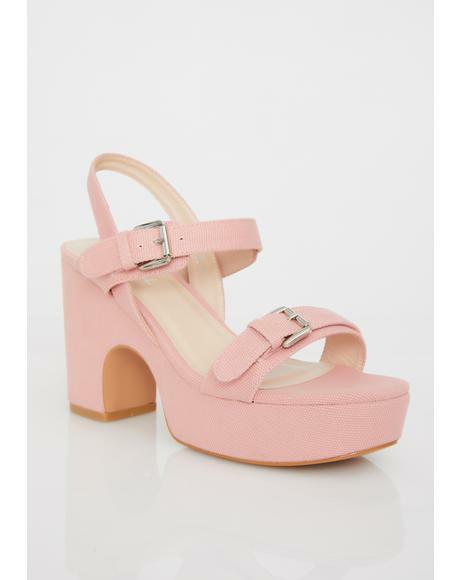 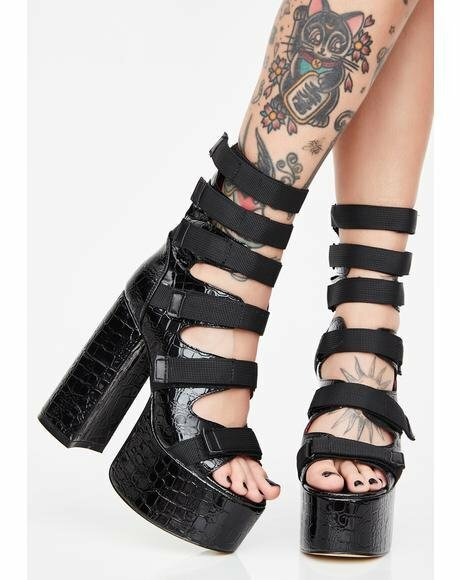 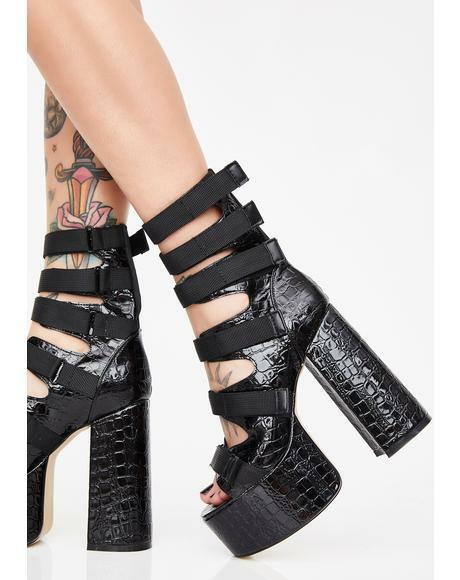 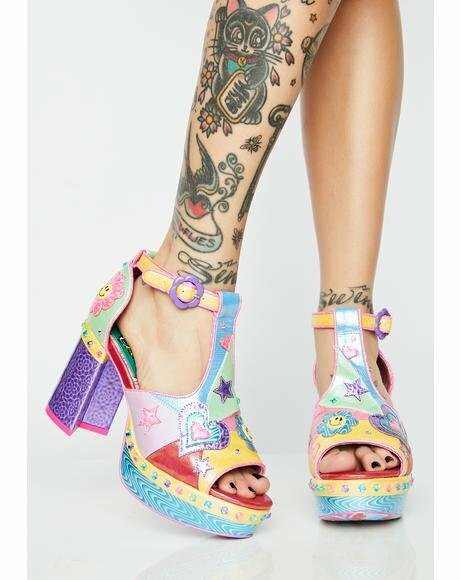 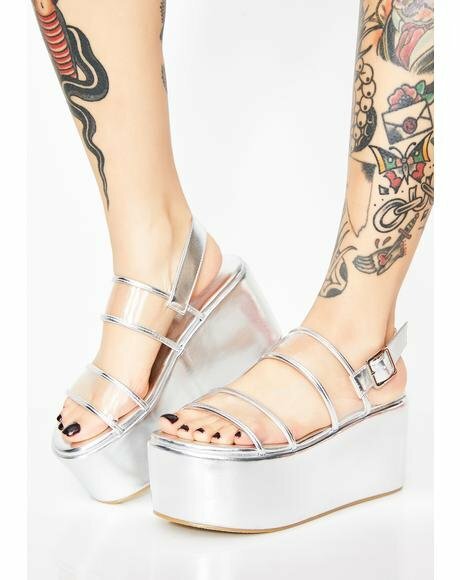 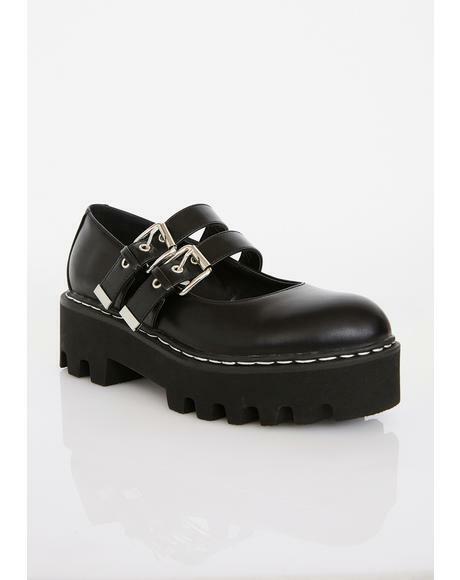 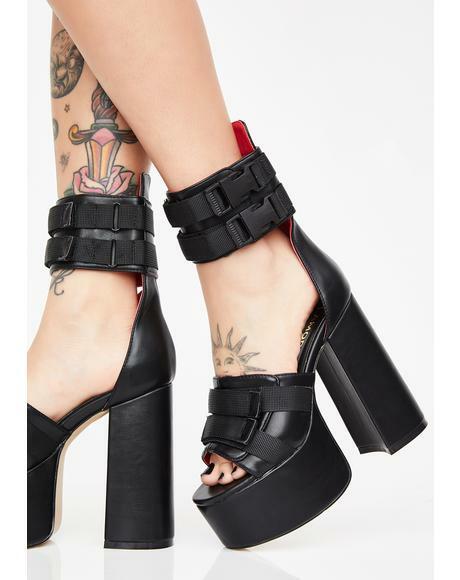 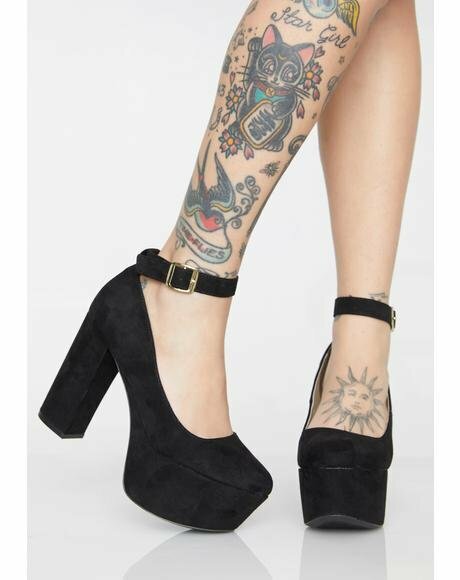 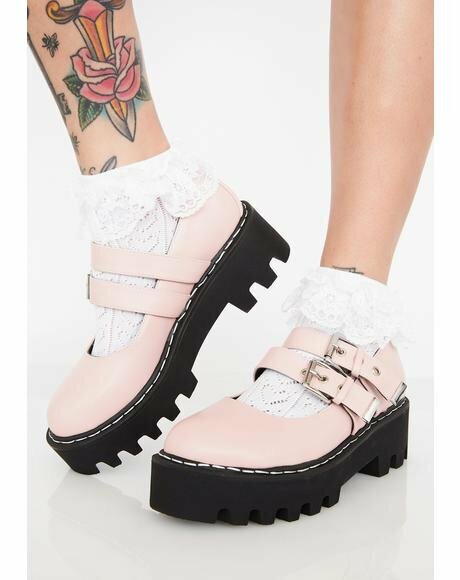 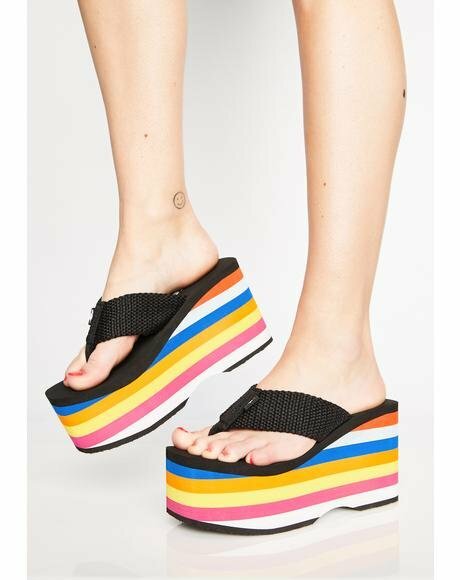 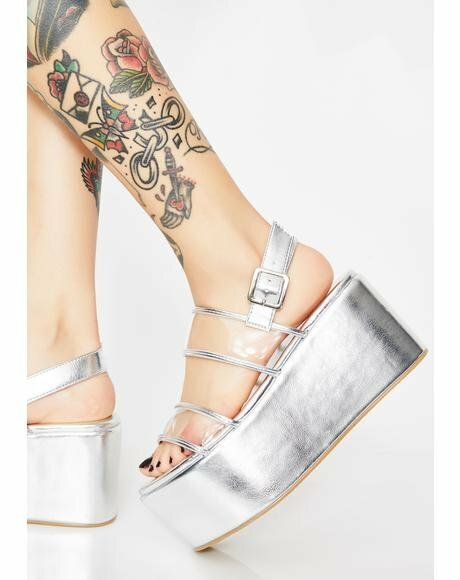 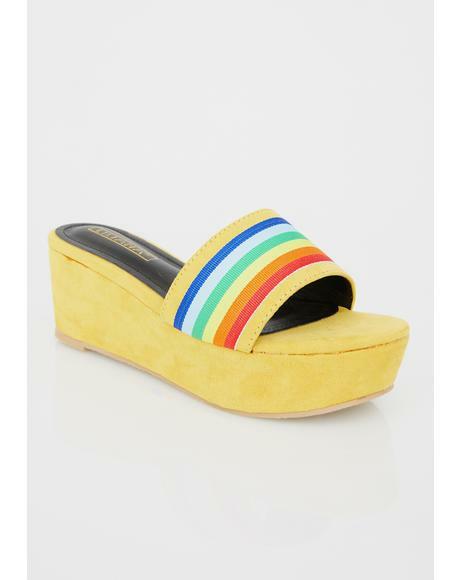 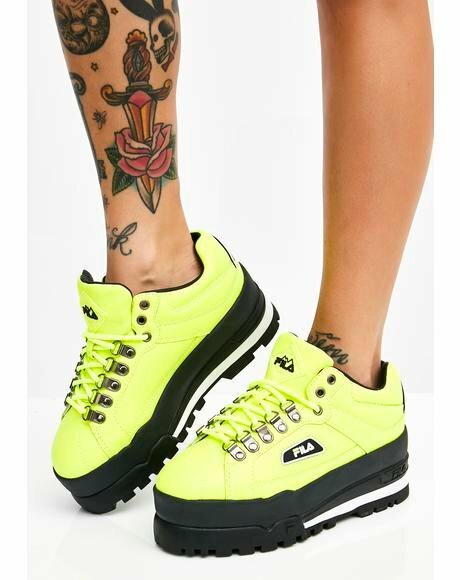 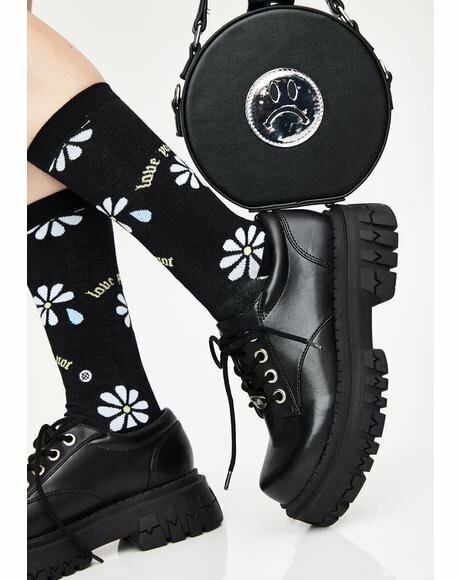 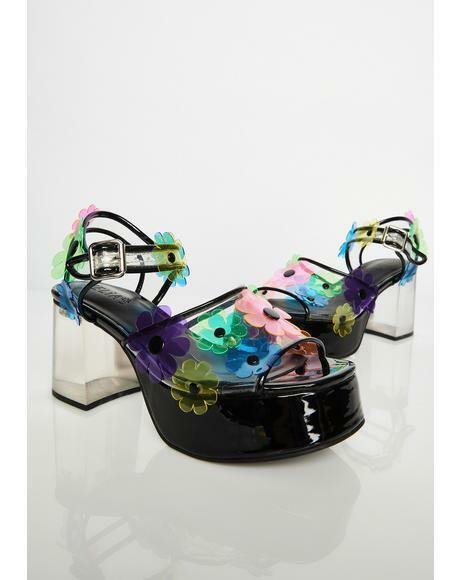 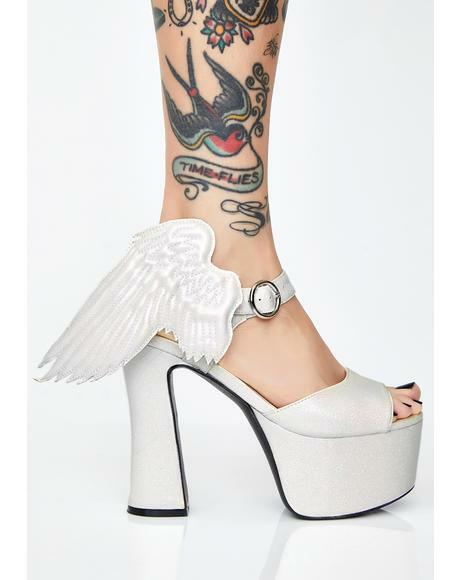 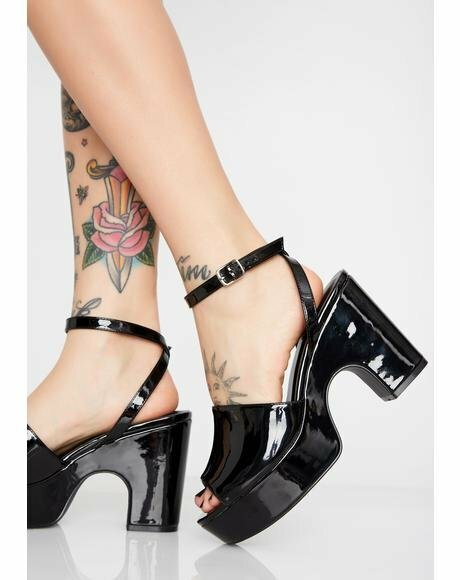 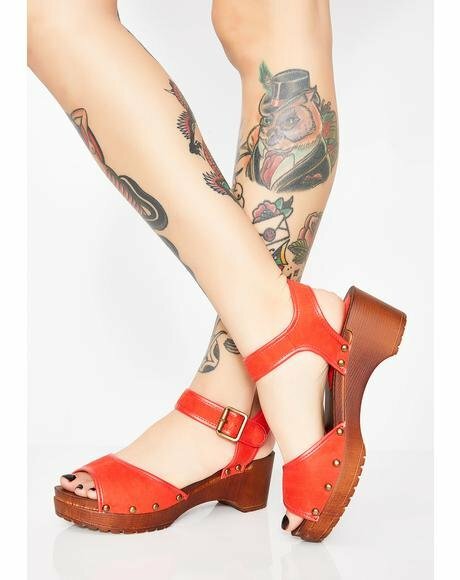 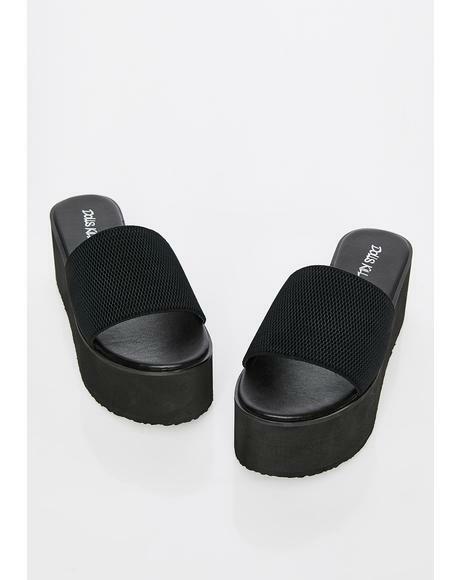 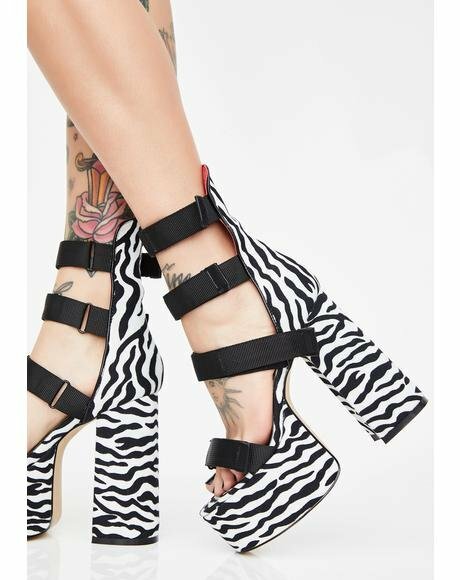 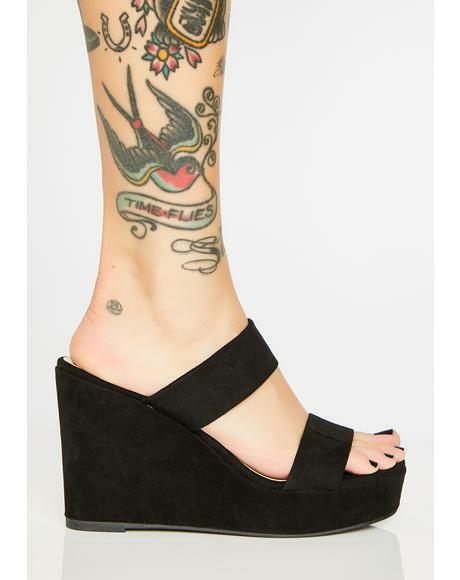 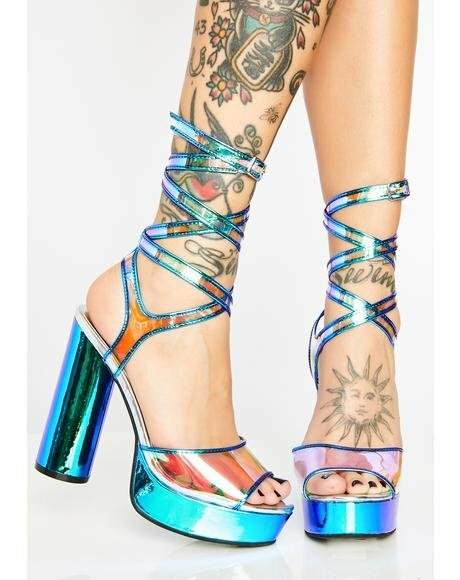 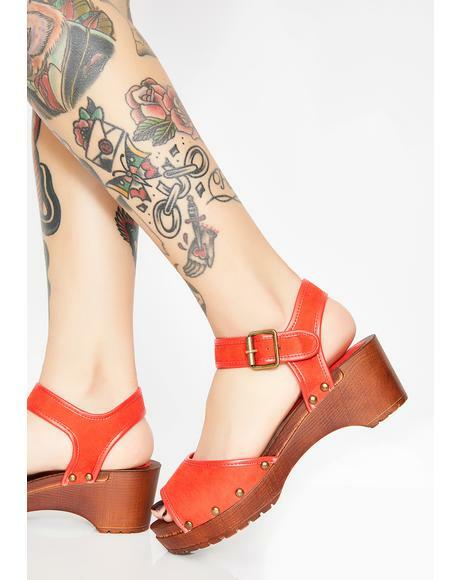 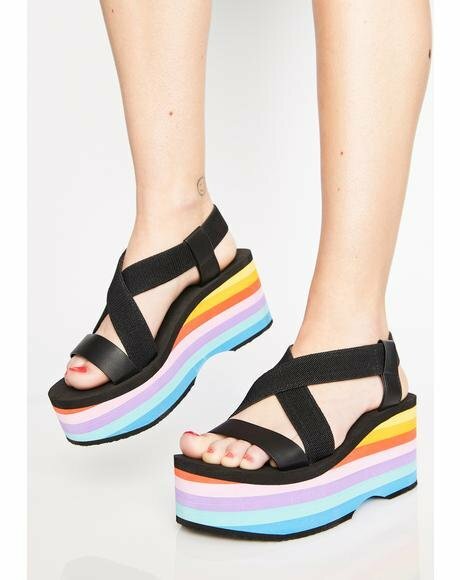 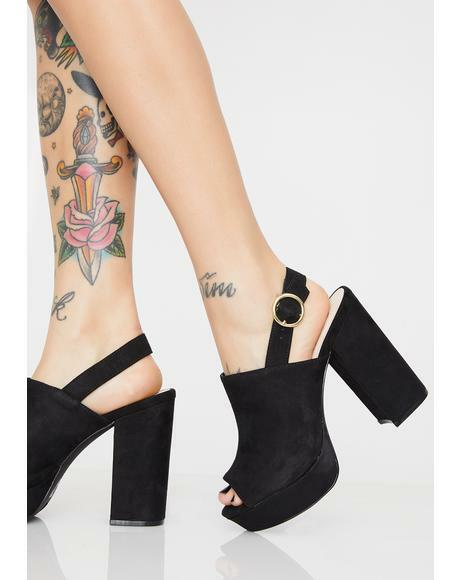 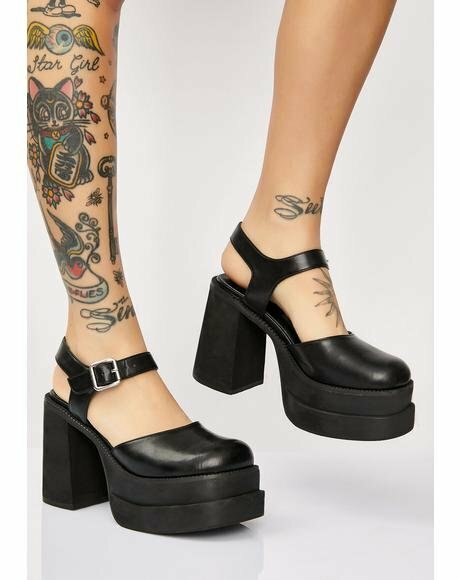 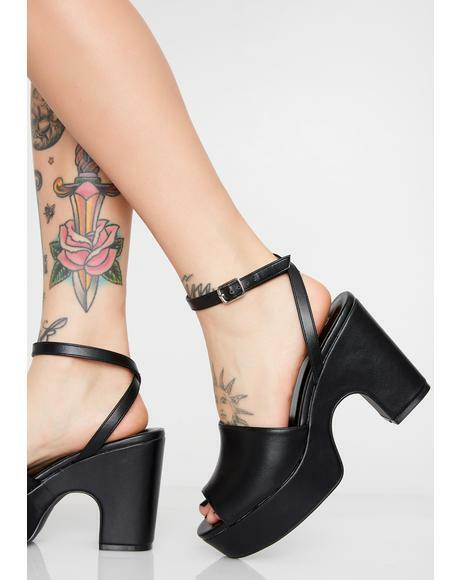 Fly high with these platform sandals!